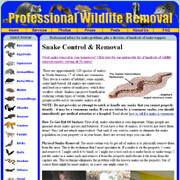 If snakes are your pests, then you need them physically trapped and removed. Most pest control companies are used to spraying poisons for insects and small invertebrates. They don't deal with larger animals, like mammals and reptiles. The snake is a reptile, and the only way to keep snakes away from your home and property is to have then caught by hand, tong, or trap, and taken away from the area. NOTE: You cannot use poison to control snakes. There is no registered or effective or legal (or humane) poison that will eliminate snakes. 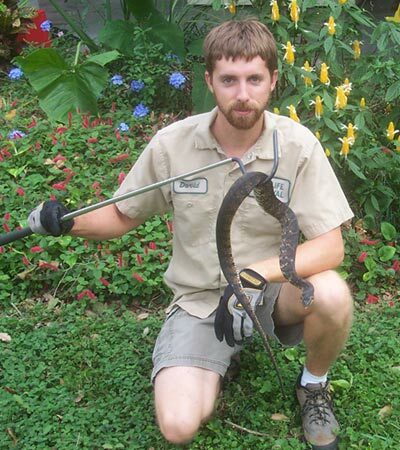 Your regular pest control guy probably won't want to catch the snake for you. That's typically not what they do. I get many calls from local pest control companies whose customers see snakes, and want them taken away. Here we see a snake caught by a professional wildlife management company, not a pest control company. If you ever have any problems with wild animals, you don't want "Pest Control", you want "Animal Removal" or "Wildlife Control" and a real pro to take care of those snakes once and for all. You can't call Terminix or Orkin or any company like that to take care of a problem with large mammals and wildlife. 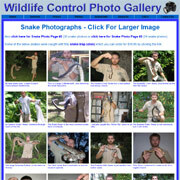 This site has links to professional specialized wildlife trappers throughout the country. 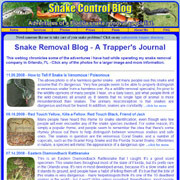 How to get rid of snakes in your house - Snakes inside of the house are usually living in cracks along the foundation. These serpents will not spend much of their time away from their burrow sites. This can make snakes living in the basement difficult to catch and remove. The first thing that needs to happen is that the foundation holes need to be repaired. Do not worry about sealing the snakes inside. If you close off the immediate area, they will be easy to catch. You can catch the confined snakes in any manner that does not put you or the snake in harm?s way. Most serpents inside of a home are harmless. Their presence does not warrant a death sentence; once you have repaired the foundation cracks the snakes will have to move on. If you are unsure about what snakes are in your home, hire a professional or purchase a snake trap. The professional will be able to identify and remove the animal with relative speed. A snake trap may take longer, and the success will depend on the type of trap your purchase. If nothing else, calling a professional for a trap recommendation would be wise.